Move Offline Outlook data file (.ost) into PST format using the OST to PST Conversion Tool. Support successful migration from OST to Office 365 along with the repair and retrieval of offline storage file into PST, EML, HTML, MSG format. Import data from OST file: Emails, Contacts, Calendars etc. Perform successful migration of orphan / corrupt OST to PST. Move unlimited Offline Storage Table data to PST format. Preview OST files before transferring them into personal storage file. 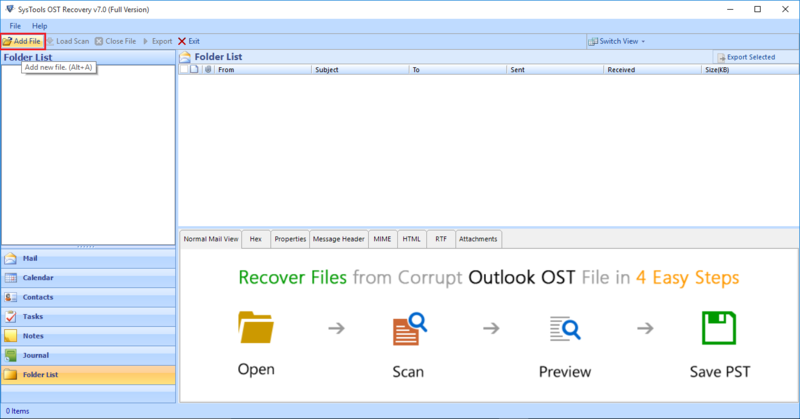 The OST Recovery Software is compatible with Outlook 2019, 2016, 2013, 2010, 2007, 2003 and all its below versions. , EML, HTML, or MSG format. Support the transfer of OST to Office 365 user account easily. 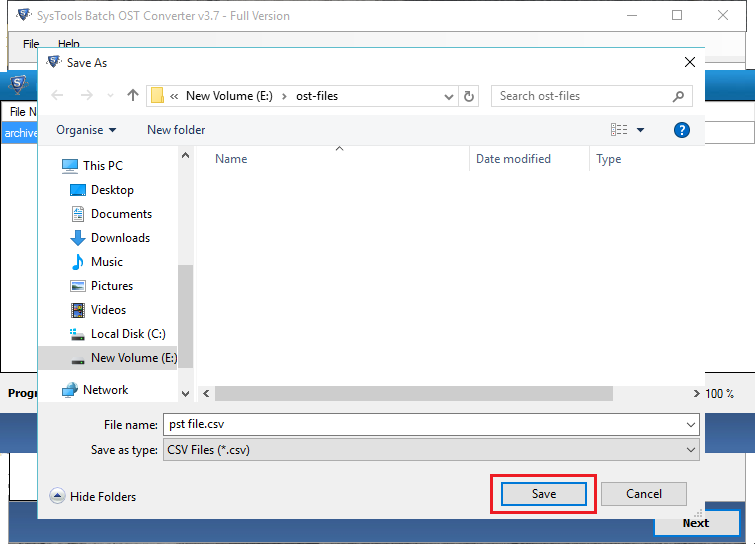 Add Exchange OST files into PST file format using the Converter. The Offline OST files to PST conversion utility besides allowing repair and restoration of lost data, it also render the option to save the data. Once regained, the software enables to save this data via an export option in featured output files such as OST to Office 365, Convert Hotmail OST file to PST, MSG, HTML and EML. This utility supports the user with facility to add ost file to Office 365 account. This option helps the user to move the items like emails, calendars, contacts etc. from .ost file to O 365 using the category Filter in Advanced Settings. 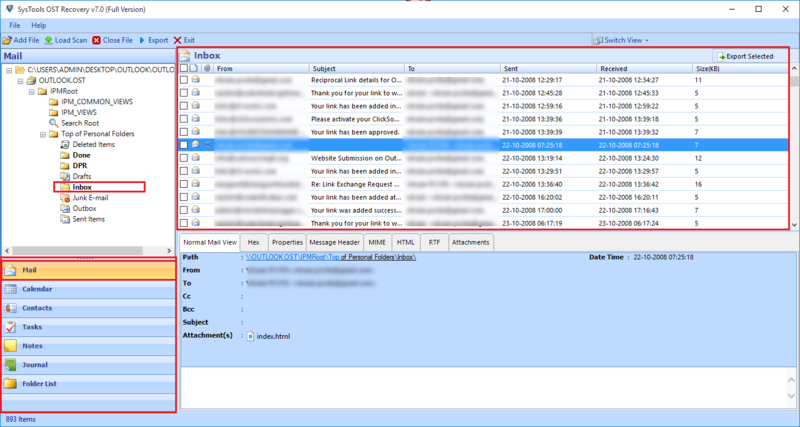 The product also provides facility to import selective emails to Office 365 user environment. There are absolutely no limitations imposed on the size or quantity of OST data to be recovered. The software for importing OST file to Personal Storage file is capable of handling mass data storage and most of the files are bulky in size. The utility also helps to retrieve & repair damaged Exchange OST to PST format without slowdown. Corrupted and orphaned OST to Office 365 format is processed by this software. The file is repaired, regardless of the intensity of damage. OST to PST files are retrieved both from a file header level corruption to a particular folder corruption. When OST files are scanned by OST files to PST tool, a preview is automatically generated from the data in it. 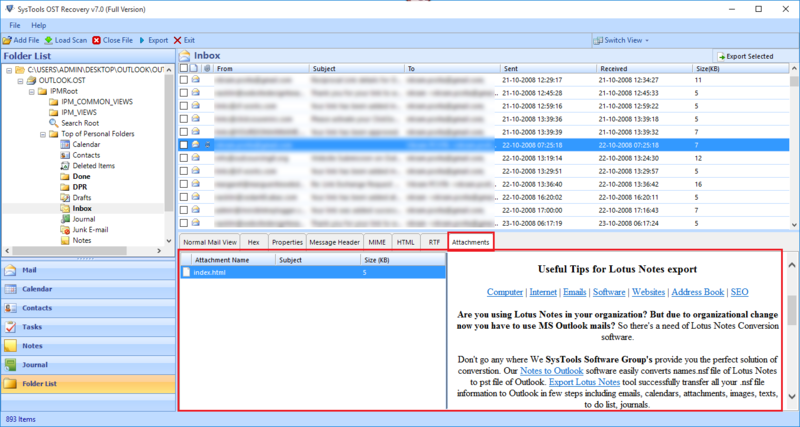 A list of items in each category of storage within the Outlook OST file is displayed. Moreover, you can preview each item individually by clicking on it. Export process featured by the software for saving recovered data enables customization. You can choose a preferred location for saving the output with desired naming convention (for MSG / EML) or split it by size (for PST). The export customization is further extended to another option that enables saving chosen data. When saving recovered data, you can choose and specify the files that has to be exported and what not to (individual file or folders) using check-boxes with Offline Outloook files to PST software. Once the software recovers/restores OST file and exports them to the chosen format, a detailed report is automatically generated. 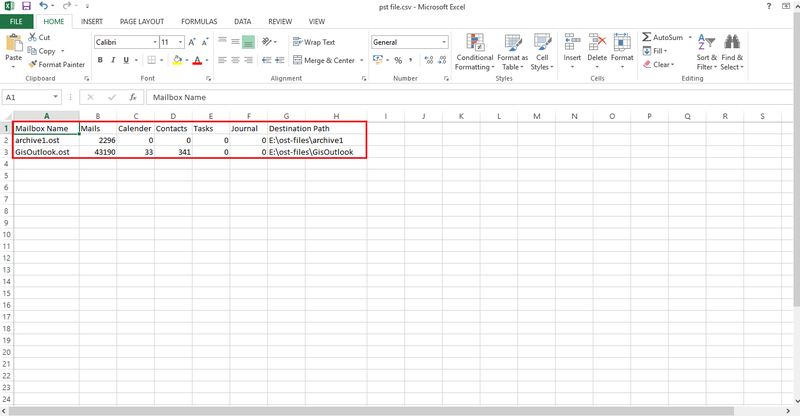 This report can be saved as a CSV file for future reference purposes as it contains details regarding the exported data. How to Move OST File Using this OST to PST Converter? 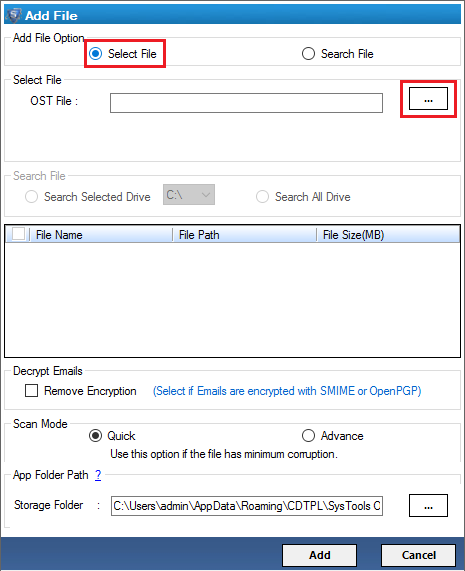 Step 3 : Select the OST file by Select File Option or Search File Option. Select the OST files to repaired or to be converted into PST file format. Step 4 :Check Remove Encryption option to decrypt Outlook OST emails encrypted by SMIME or OpenPGP encryptions. Step 5 : Choose Quick scan or Advanced Scan option to repair OST file depending upon the OSt file corruption level. Step 6 : After Scanning process of selected OST file is completed, click Yes option to Save Scanned file, or else click No. Step 7 : After the completion of OST file scanning,the OST Migration Software will load all the OST file. folders in the left pane; as displayed in the image. 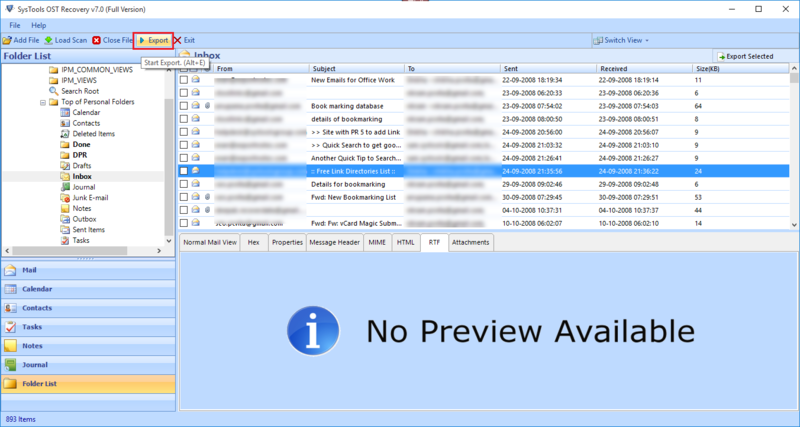 The tool previews emails with Normal Mail View, Attachments, properties, HTML, RTF, MIME, Message header etc. Attachments Tab: The tab where you can see the attachments(Image, Documents) with each email. Step 9 : You can view all the folders and mailbox items. There are tabs for Mail, Calendar, Contacts, Notes, Journal and folder list in the LHS to show specific mailbox items. Step 10 : switch screen view option is helpful for changing the Horizontal to Vertical mode of the screen & Vice Versa. 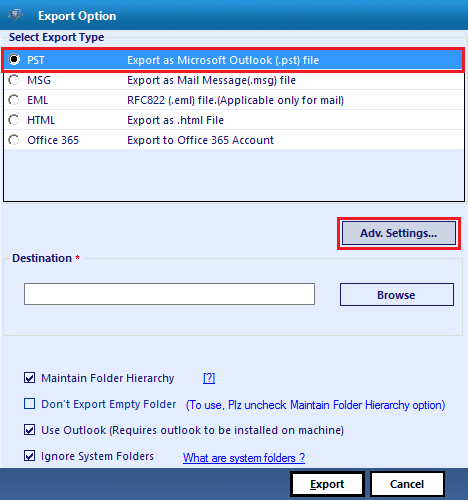 Step 11 : Select the Export Button to migrate multiple emails. 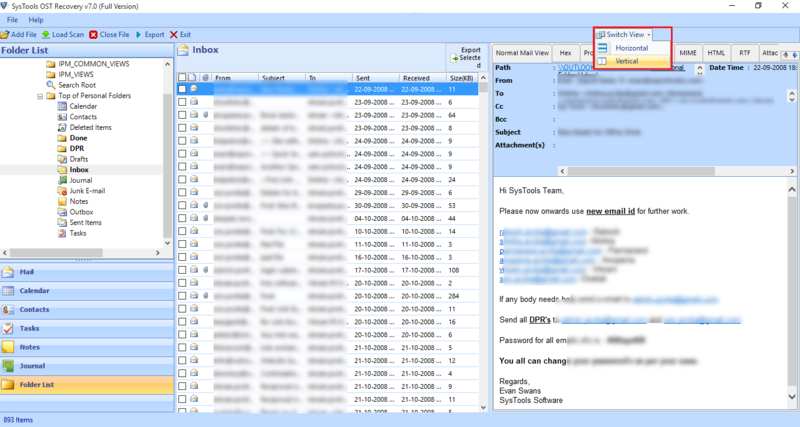 You can also choosing particular mails & then selecting the Export option after the right click, on the screen. Step 12 : Choose any of the radio button to export the OST to Office 365, PST, EML, HTML, MSG, from the Select Export Type option. Say, you chosed PST option. Click on Advance Settings. PST Split Option: It allows to split the large PST file into smaller files. Click on Save button to save the settings and click on OK button in the pop window. Step 14 : Click on Browse button for searching the desired destination location. Step 15 : Choose desired location or create New folder to save the exported files by clicking “Make New Folder”. Then click on OK button. Step 16 : Now, you can see destination path of the file, then click on Export button. The Export process will start and it will display exporting folder along with the Number of Items and destination Path. Then a notification appears showing successful status of export process. Click Ok button to continue. Step 17 : The Export Report pops showing details of Exported mails along with Source File Name, Success Count, Fail Count also. Click on Number in Success Countto view saved file path and then click Save button to save Export Report. 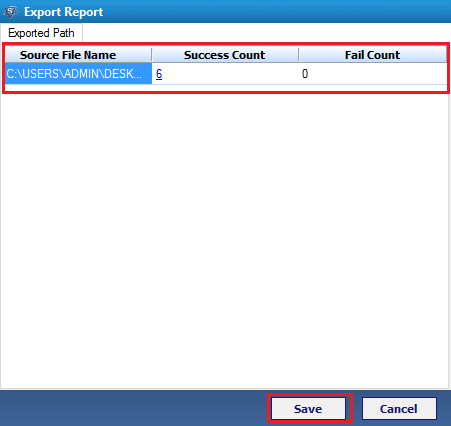 Step 18 : Browse the required destination for the Export Report and save the file in CSV format and then click Save button. Then click Ok on the dialog box appeared which showing the destination path of that file. 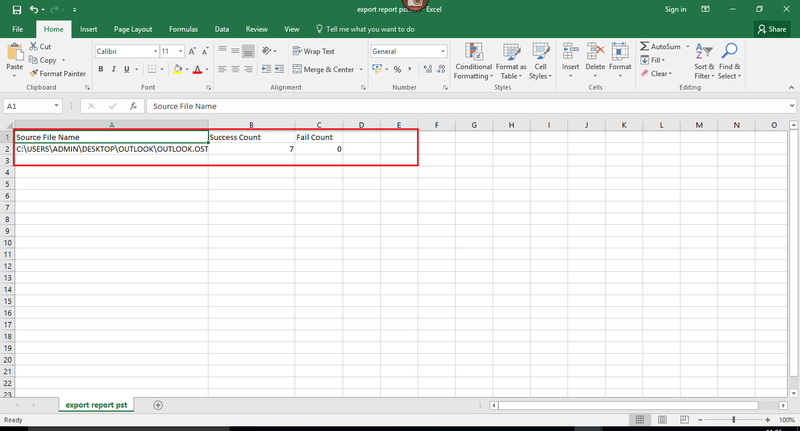 Step 19 : Now you can open the Export Report CSV file in MS Excel and view the details of the data exported. Step 20 : Now you can check the exported file by opening it within the application. Here,we have saved OST to PST file format. 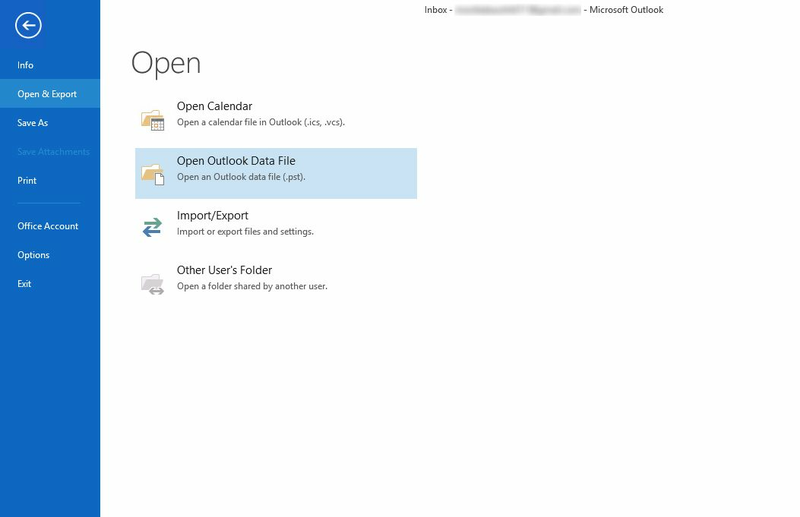 So we can open the file in configured account of MS Outlook. Watch!! 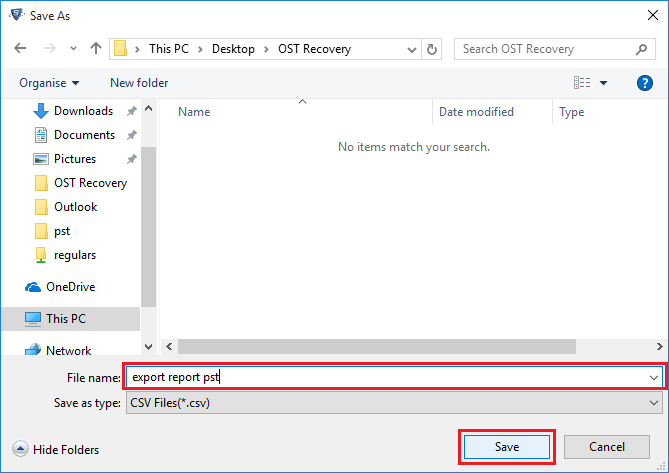 How to Convert OST into PST file Format? Q. Is it possible to import Exchange OST file to PST without Exchange environment? Ans: When the OST file is in an orphaned state, it is impossible to save it as a PST especially without using OST restore software. You can use a OST to PST Conversion tool in a condition like this to open an orphaned or even a corrupt OST file to save it as a PST file. Q. 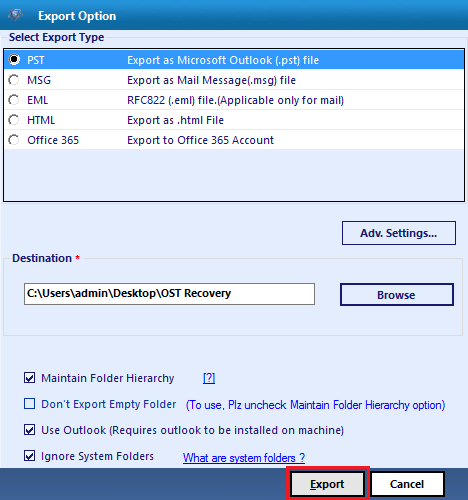 How to import Exchange OST files to PST if Exchange Server is crashed and is in downtime? 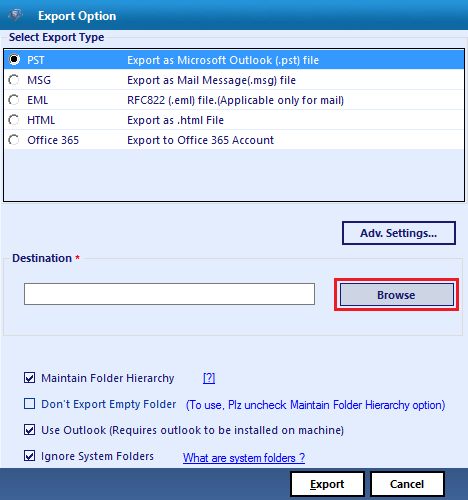 Ans: The possibility of manually transferring Exchange OST to PST file format in Outlook profile is none. Therefore, you can use OST files to PST migration program instead, to make sure that the contents of your cache replica is accessible and doesn’t even require availability of Exchange Server too. Q. Can we export offline OST files to Office 365 account? “One of my friend want to migrate OST to Office 365 account directly. She inquired many manual solutions, but it was not a best result. The Offline data file got corrupted and damaged. Therefore now she is looking for a perfect tool which perform complete migration of OST files into Office 365 cloud storage." Ans: The OST to PST migration software supports the transferring of Offline OST files into Microsoft Office 365 user account in simple steps. 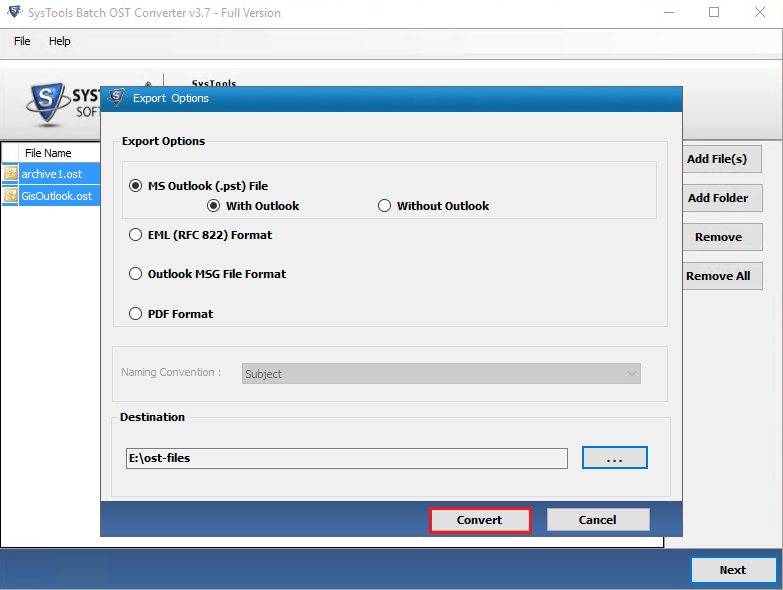 Batch OST Converter software has the credibility to export multiple MS Outlook OST files into Personal Storage files in bulk. The OST Migrator tool can transfer offline OST files to EML, MSG, PST file formats with or without installing MS Outlook in PC. 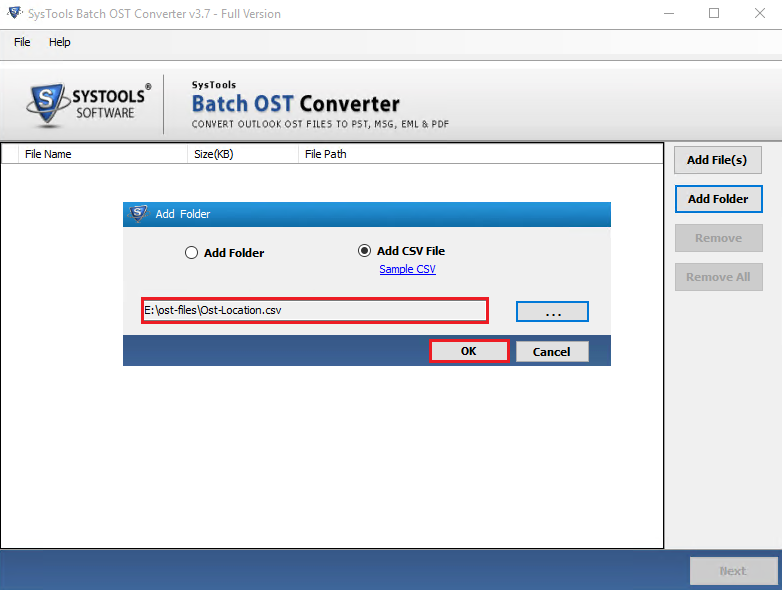 The Batch OST Converter Software does not impose any file size limitation while importing Outlook Offline Storage files to other file formats namely, OST to PST, EML, MSG etc. 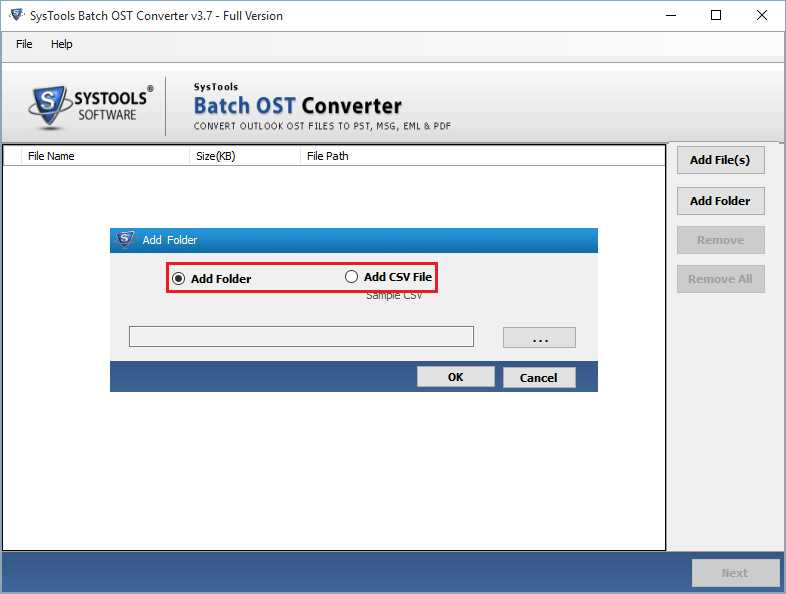 If one is having a large number of OST files, and all these files are stored in a common folder, then opt for Batch OST Converter. The wizard has the credibility to add folders that having multiple OST files in it. The utility makes a single file for every single OST. No data loss will be encountered during bulk OST migration. The OST Migrator software allows the users to export OST data files to PST, MSG, EML file formats. The OST Conversion tool allows the users to open and incorporate Exchange OST file mails in few other programs like Windows Live Mail, Eudora, Mozilla Thunderbird, Outlook Express, and Windows Mail etc in bulk. The utility provides numerous functionalities using which, one can add folder having multiple OST files, or add a single OST file into it. 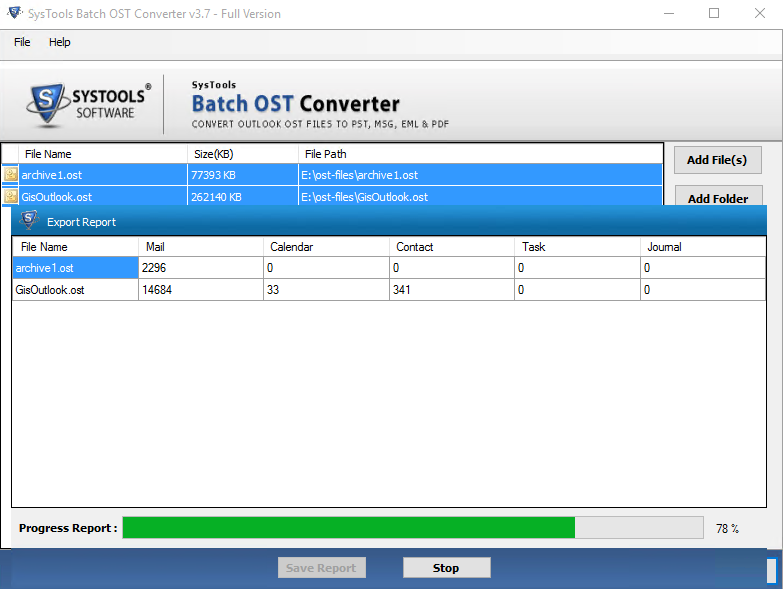 The Batch OST Converter software will preview all the associated details of these folders. You will able to view the listed OST file name, size in KB and the path of the file. 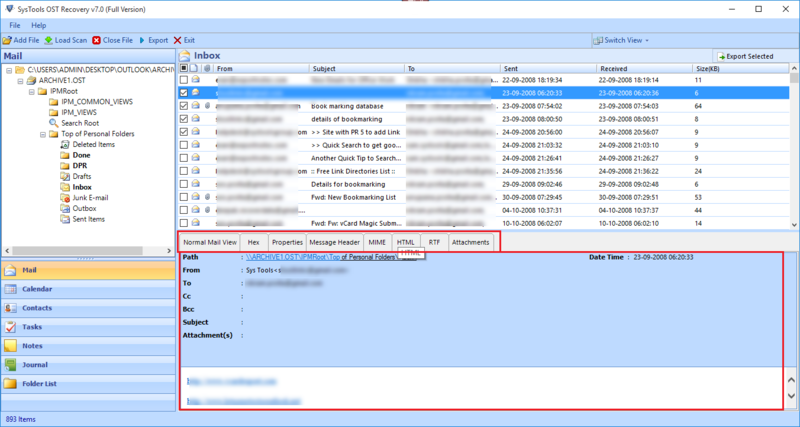 The OST files can be viewed by arranging the attributes as per requirement. After completely performing the transfer of OST files into MSG, PST, and EML, the users can select the saving file at any preferred location. The OST Migrator application even provides the users with multiple options like making a new folder integrated with the software. It even allows the users to create a new folder directly from a software panel at any desired location. In case, you have made a new folder, all the converted files will be stored there. The best advantage of this Batch OST Converter is, after exporting OST to PST, MSG, and EML it even retains entire folder structure as it does not create any changes in the original file/ folder structure. The tool makes sure that no data is lost while the process is performed and thus maintains the data integrity. While converting the OST files to MSG, EML, PST; the OST Exporter software facilitates the users with naming convention option. This facility provides the users to filter out exported files according to the subject, date, from, auto-increment, that allows the users to find out all the mails easily. 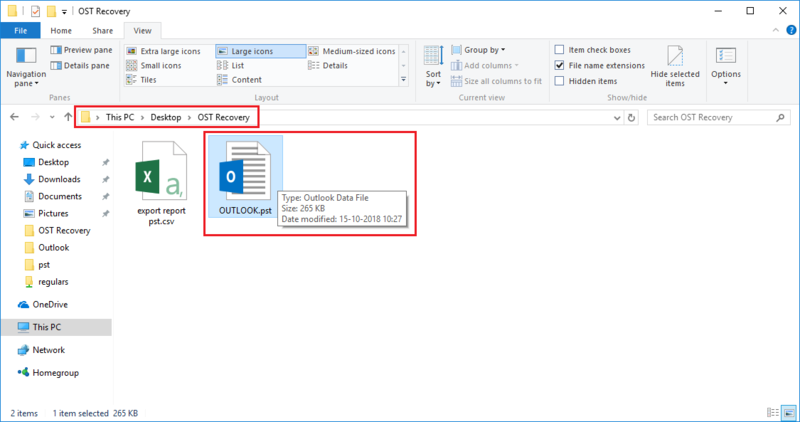 How to Move Outlook Offline OST to EML, MSG, PST? 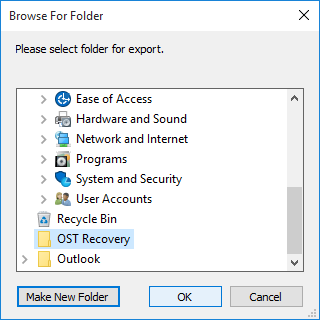 Step 3 : A screen will be displayed showing Add Files option for selecting an OST file to be exported. Next, it will preview a browse window from where we can browse the OST files. Step 5 : Consider, the users tap on Add CSV file and it automatically loads OST files location saved inside CSV file. Click OK and load specific CSV into the tool’s interface. 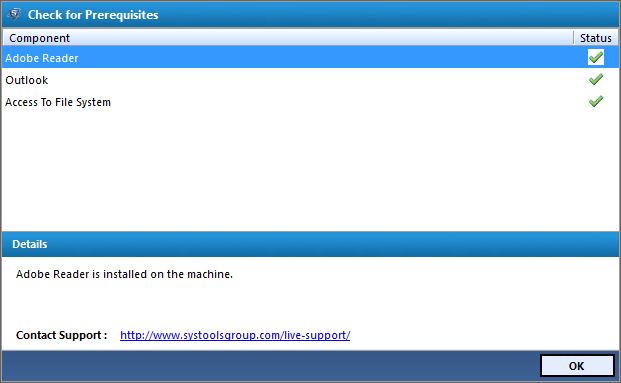 Step 8 : In these circumstances, the users can opt to move OST to PST, EML, and MSG as a resultant file format. 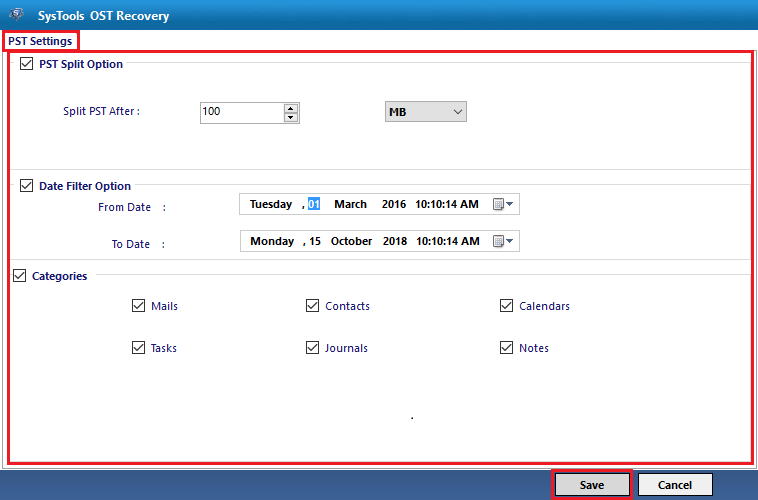 Step 9 : Now, Batch OST Converter tool prompts the Export Report Window displaying the process along with the mails, calendars, address books, journals, tasks, and so-on. Q. How many can Outlook OST files be converted in a single go? Ans:Our tool can export numerous files in a single go as it possesses the same attributes as that of its name i.e., Batch OST Converter. Moreover, excluding EML, it can convert into PST and MSG formats. Q. Is the OST Migrator software compatible with latest editions of Windows? Ans: The application does not have any compatibility issues with the Windows Operating Systems. So, feel free in such circumstances as this program is of great help. Q. Does the conversion of OST files need connectivity to Exchange Server? Ans: No, it does not require MS Exchange Server configured on the device for converting the OST files. 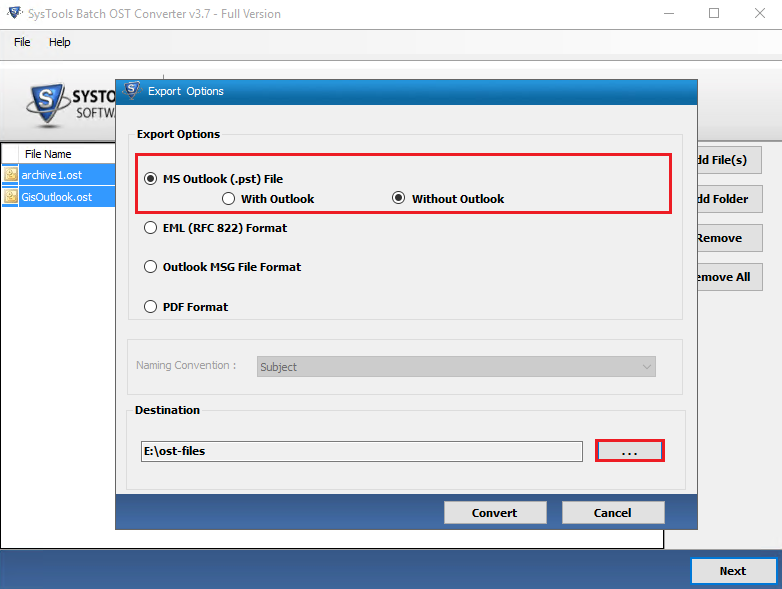 Although Outlook 32 bit must be installed and configured properly with the POP3 or dummy profile, Batch OST Converter does not require MS Exchange. Q. Is it possible to convert the attachments of Offline OST files using the wizard? 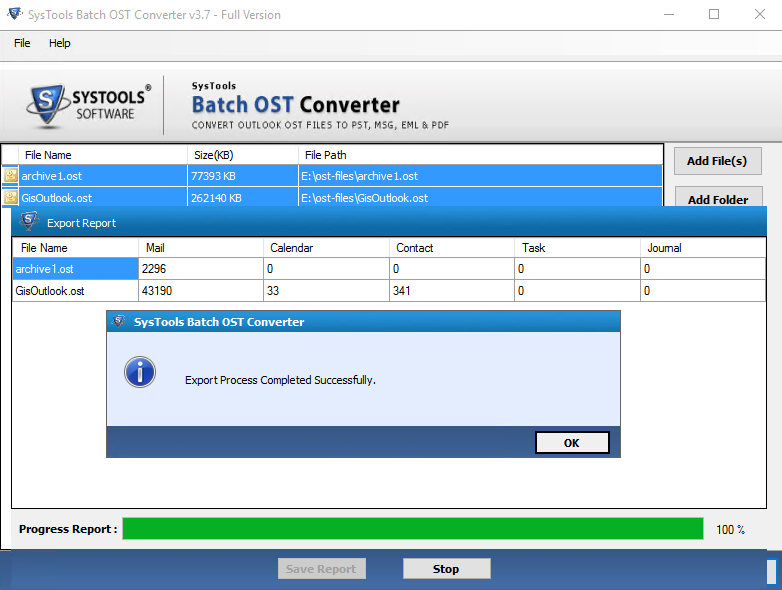 Ans: Yes, the batch OST Converter application will convert all the associated attachments, emails, contacts, calendars. Note: Batch OST Converter Software will get delivered on your registered email id, within few minutes after placing the order. I am a complete novice yet was assigned with the task of handling the OST file generating errors during every synchronization. The easiest way I could search for was a third party tool to know how to restore OST files. Finding OST to PST Conversion Software for restoring the files was the most pleasant surprise in the entire situation. I really want to appreciate you guys for your achievement. The Batch OST converter tool is just incredible among all others presents in the online arena. I would like to recommend each one to use this software. I had trouble in synchronizing my OST profile with Exchange for a long time. Turned out to be a consistency issue, which was unresolvable with scan ost.exe too. Thankfully, by the suggestion of a friend, I got the Offline OST to PST converter which performs proper file recovery which helped to successfully get through the condition. Earlier I felt like OST file conversion is totally impossible. 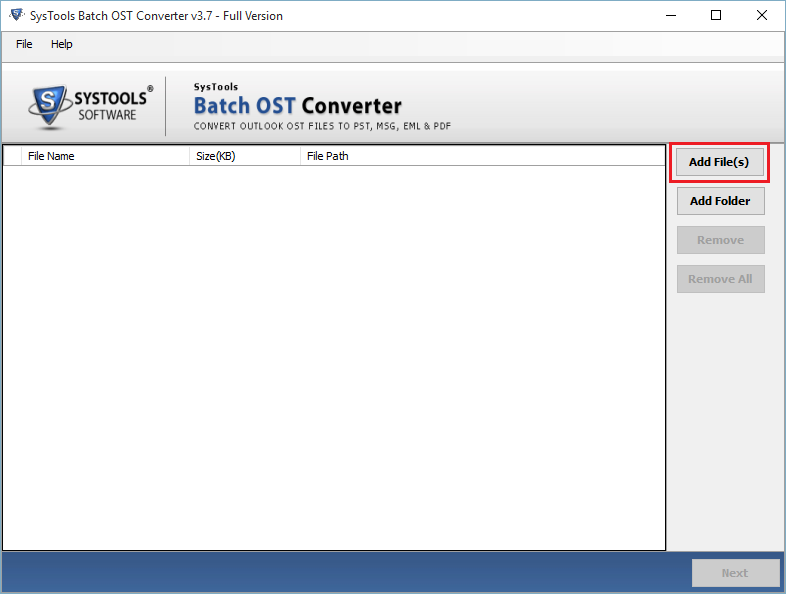 But, once I tried this utility after someone’s recommendation, I came to know that it is quite an easy task to move OST to PST using Batch OST Converter. Thanks! to the innovative minds behind the creation of the OST Converter.